Today was a great victory for seals. The European Parliament voted to support revisions to the EU regulation on the trade in seal products meeting WTO rules. In 2009, the EU adopted a regulation to ban the trade in commercial seal products based on public morals regarding animal welfare. It allowed exceptions for products from personal use, from hunts by Inuit and other indigenous communities and for culls to allegedly protect fish stock (Marine Resource Management (MRM) exception). The regulation was challenged by Canada and Norway at the World Trade Organization (WTO), which ruled two of the exceptions were discriminatory. After months of debate and negotiation amongst EU Institutions on how to meet WTO rules, an agreement was finally reached and was approved by Parliament members today. The new text eliminates the Marine Resource Management (MRM) exception that WTO ruled was not distinguishable in nature from commercial hunts and therefore was a violation. The amended regulation maintains the exception for Inuit and other indigenous communities, but with very specific conditions focused on animal welfare, tradition and subsistence. An anti-circumvention clause was included to allow the Commission to prohibit or limit products not meeting the criteria (e.g. based on evidence that the hunt is for primarily commercial purposes). The Commission is also charged with informing the public and customs officials of the legality of products certified under this exception. IFAW vigorously lobbied Parliament and Council to ensure revisions to the EU regulation maintained a focus on protecting animal welfare and achieving WTO compliance. IFAW does not, and has never, campaigned against the Inuit subsistence hunt, nor the personal hunt of seals for food in Atlantic Canada. Since its adoption, the EU seal ban has helped save more than 2 million seals from a cruel death by the commercial seal hunt. The new regulation will enter into force on 18 October 2015 meeting the WTO deadline. In related news, last week the European Court of Justice dismissed the appeal by Inuit and other stakeholders in a case against the EU claiming the EU regulation on the trade in seal products was unlawful. The court’s ruling upheld the validity of the regulation. 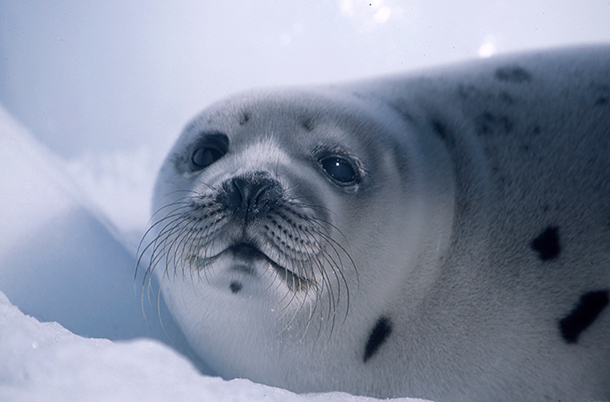 After decades of campaigning against the cruel nature of commercial seal hunts & hopefully with legal challenges now resolved, IFAW is pleased that millions of seals will be saved by implementation of the EU ban on commercial seal products.